Q: WHERE CAN I FIND PAST MOOTS CATALOGS AND THE MOOTS CUSTOM BROCHURE? Q: WHERE IS MOOTS LOCATED? A: We are located in Steamboat Springs, Colorado which sits at 6,700 feet above sea level in the Colorado Rocky Mountains. Our small mountain town of 12,000 people averages 350 inches of snow per year and has some of the best trails and roads to ride in the entire state. Steamboat offers us a wonderful testing ground right out our front door to make sure all of our frames and components will perform at the high standards we set for them. Q: CAN I TAKE A TOUR OF MOOTS? A: Yes you can. We offer full factory tours every M-W-F at 10 am. If you find yourself in Steamboat Springs, please drop by; we’d love to show you around and give you insights into the best single track options, most scenic road rides, sweet hidden powder stashes, best groomers and most abundant fishing spots. Q: WHERE DID THE NAME MOOTS COME FROM? AND WHO IS THE ALLIGATOR?  A: Mr. Moots’ (the alligator in our logo) goes all the way back to the founder’s grade school years. His favorite pencil-top eraser was a loveable, smiling alligator character that accompanied him throughout his school days. One day, while sitting a little bored in class, he squeezed together the alligator’s cheeks as if encouraging him to speak. Lo and behold, out of his mouth came the faint cry of Moots, Moots, Moots… From that day on, he named is pencil-top eraser Mr. Moots. Mr. Moots soon took on a life of his own, appearing in numerous handwritten and drawn comic strips chronicling his various outdoor adventures including skiing, cycling and hiking. Thirty years ago, when it came time to put a name to the first custom bikes he built for his customers, the first choice in names was obvious….Moots. Q: WHERE CAN I FIND TORQUE SPECS FOR MOOTS PRODUCTS? Q: HOW DO I CARE FOR AND/OR REPLACE MY YBB UNIT? Q: HOW DO I REPLACE THE DECALS ON MY MOOTS FRAME, POST OR STEM? Q: WHERE CAN I FIND INSTALLATION INSTRUCTIONS FOR MY MOOTS CARBON FORK? Q: WHERE CAN I FIND MOOTS STEM INSTRUCTIONS? Q: WHERE CAN I FIND MOOTS SEAT POST INSTRUCTIONS? Q: WHERE CAN I GET RETAIL PRICING ON MOOTS FRAMES? A: All of our authorized dealers can supply retail pricing or you can give us a call at 970-879-1676. Q: HOW DO I GET A PRINTED CATALOG? Visit your local Moots dealer. Or call us at (970) 879-1676 and we will happily send one to you. Q: MAY I GET FREE MOOTS STICKERS? A: Yes you can. Give us a call at (970) 879-1676 and we’d be glad to mail a few to you. Q: MAY I BUY A BIKE DIRECT FROM MOOTS? A: We don’t sell our frames directly to end customers. We value and rely on our network of expert Authorized MOOTS Dealers to assemble, sell and service our frames, and help you get properly fitted. We do sell all our titanium components, clothing and accessories directly to customers through our online store. Use the Dealer Locator on our home page to find your closest Authorized MOOTS Dealer. Or go to the Shop to check out our line of components and branded products. Q: HOW DO I FIND MY NEAREST MOOTS DEALER? up-to-date Dealer Locator that will direct you to a MOOTS dealer near you. If you don’t see an Authorized MOOTS dealer close to you, please call us at (970) 879-1676 so we can help you determine the best avenue to purchase a Moots. Q: WHAT IS THE WARRANTY ON YOUR FRAMES AND COMPONENTS? A: We offer a lifetime warranty on every Moots titanium frame. This warranty is for the original owner only. All aluminum rear triangles (Zirkel, MX Zirkel, Gristle Zirkel, Cinco, MX Divide and Divide) come with a two (2) year warranty. All stems come with a five (5) year warranty. All seat posts come with a two (3) year warranty. Moots carbon forks have a three (3) year warranty. Q: WHAT DO I DO IF I HAVE A WARRANTY QUESTION OR CONCERN? A: Please contact your Authorized Moots Dealer where you purchased your frame or component. Or, call us directly at (970) 879-1676. Q: HOW CAN I REGISTER MY MOOTS FRAME WARRANTY? A: Please register your Moots frame online, using the link below. A: 100% of our frames, stems, seatposts and titanium accessories are crafted by hand in Steamboat Springs, Colorado. Q: CAN I GET MY FRAME PAINTED BY MOOTS? A: We do not offer paint as a finish option on any of our Moots frames or components. We choose not to paint our products for a couple of reasons. Most notably, we prefer the classic beauty of the titanium satin finish which best showcases the beautiful Moots welds, and has become the signature of all things Moots. Additionally, a non-painted titanium bike means you don’t have to worry about chips, dings and paint damage. Plus, you can send your frame to us at any time to refinish it to look like new. That said, many customers decide they would like a painted Moots frame. In that case, we are always happy to prepare your frame for paint and work with you and/or your Authorized Moots Dealer to determine the best painter to use for your particular needs. Q: DO YOU OFFER ANY OTHER TYPE OF FINISH ON YOUR FRAMES OR COMPONENTS? A: Yes. We offer an etched finish on our frames with an additional option to have the head tube engraved with our head badge. The standard decal placement is used and you can add your name to the top tube if you like. Q: DOES MOOTS SELL REPLACEMENT DECAL KITS FOR FRAMES & COMPONENTS? A: Yes we do. In our online store you can find decal kits for every model and component we make. Q: WHAT IS A REFINISH/REFURBISH JOB? CAN MOOTS ADD DISK BRAKE MOUNTS TO MY FRAME? A: Yes and Yes, except for road bikes. **We cannot add a disc brake mount to your Moots road frame. **THE PROCESS: Please have your Moots Dealer contact us or if you’d prefer, you can call us directly at (970) 879-1676 to receive an Return Authorization Number so you can send your frame to us— please have serial number handy, located on the bottom of the bottom bracket shell. When we talk to you or your dealer, we will issue an RA# and take other pertinent information including your address, phone number, and method of payment. You then ship the frame (stripped of all parts) to us at Moots— PLEASE USE THE BELOW ADDRESS. An extra charge will be applied for removing any parts still remaining on the frame. Turnaround time upon our receipt of the frame is generally 4 weeks, depending on time of year. Also, please note the customer is responsible for all shipping costs and appropriate taxes. Q: CAN YOU TELL ME WHAT SIZE FRAME I NEED? A: Yes, to some degree. We can talk with you over the phone and give you a pretty good idea what general size you might be. However, the proper way to be fitted on one of our bikes is to have an Authorized Moots Dealer perform a professional fit for you. This will determine whether or not you are best suited for a stock size frame or a custom Moots fit. Q: HOW DOES MOOTS MEASURE THEIR FRAMES? A: On each model page of our website there is a Geometry table that will show you the specs of the frame and how we arrive at those measurements. Q: WHAT IS THE RECOMMENDED FOR RAKE FOR MY MOOTS ROAD BIKE? Please use this table to select the correct fork rake for Vamoots and Compact models up through 2009. Please use this table to select the correct fork rake for Vamoots CR and Vamoots RSL from 2010 and newer. Please use this table to select the correct fork rake for Vamoots from 2009 through 2013. Please use this table to select the correct fork rake for Vamoots from 2014. Q: WHAT AMOUNT OF FORK/FRONT SHOCK TRAVEL WILL BEST MATCH MY MOOTS MOUNTAIN BIKE? Q: CAN I RUN A BIGGER TRAVEL FORK THAN WHAT MOOTS RECOMMENDS? A: This is not advisable as the geometry will be changed and riding experience could be compromised. Please stay with suggested fork lengths and travel for the best performance. Q: HOW DO YOU MEASURE MOOTS STEMS? A: We measure them from center of steerer tube clamp to center of handle-bar clamp along the side center line. Q: HOW DO I SIZE YOUR APPAREL? A: In our store we have manufactures listed sizing charts. Please refer to them when choosing a size. Call us if you are uncertain and we can guide you to a size. Q: WHAT IS THE STEERER TUBE CLAMP HEIGHT ON MOOTS STEMS? Q: DOES MOOTS STILL MAKE THE Ti BEAM STEM? A: No, we do not. We stopped making this stem in Fall of 2010. Q: DOES MOOTS MAKE CUSTOM COMPONENTS? A: Yes. We offer custom stems, handlebars and headset spacers. We do not customize seat post diameter or lengths. Q: CAN MOOTS PUT MORE LAYBACK IN THE LAYBACK POST? A: No, we can’t. We have very specific tooling that we do our bending with and cannot offer more layback. Q: THE VAMOOTS RSL USES PRESS FIT BB30. WHAT IS THAT? A: We have chosen to use the Press Fit BB30 bottom bracket in our Vamoots RSL frame. This is a S-ram BB30 standard that will allow you to use any BB30 crank on the market. You can also use your 24mm spindle crank with adaptors if you like. The Press Fit BB30 standard is a more refined BB30 standard that isolates the bearing from the frame material, resulting in a better working unit. Have more questions? Please feel free to call us. Q: CAN I GET THE PRESS FIT BB30 BOTTOM BRACKET IN ANY OF THE MOOTS MODELS? A: You can get a PF BB30 as an option on any model we make, except for the Frosthammer. Q: WHEN DOES MY YBB SLIDER NEED TO BE REPLACED? A: The YBB Slider needs to be replaced about every 2-3 years depending on the amount of mileage and conditions (e.g. water and mud) the bike has encountered. Parts can be ordered through your local Moots dealer or directly from the Moots web site store. Q: WHERE IS MY SERIAL NUMBER LOCATED? A: Your Moots serial number is on the bottom side of the bottom bracket. It will be a number followed by a letter, then a series of numbers for most— EXAMPLE: 56M1967. The first number indicates the size of the frame (in this case, 56cm). The the letter “M” is for Moots and the numbers following are used for us to identify when a particular frame was made. Q: HOW DO I GO ABOUT GETTING MY FRAME REFINISHED? A: If you have any other questions about Moots and our fleet of titanium bikes feel free to drop us an email at info@Moots.Com. This limited warranty covers only those Moots bicycle frames purchased directly from Moots or from authorized Moots retailers in the United States. If you purchased your Moots bicycle outside of the United States, the specific warranty will be governed by the law of the country in which it was purchased. Moots warrants to the original owner of this new Moots bicycle frame that the frame shall be free of defective materials and/or workmanship as follows: 1. For all Moots Aluminum Rear Ends of full suspension mountain bikes for two (2) years from the date of purchase. 2. For all other Moots bicycle frames, for the lifetime of the original owner. This does not mean that these frames are indestructible and will last forever. It simply means that these frames are covered under the specific terms of this limited warranty. IMPORTANT NOTE: To the extent allowed by law, this limited warranty is not effective unless you are the original owner and you complete and send to Moots within 2 weeks of the date of purchase the Moots Bicycle Frame Registration Card. This limited warranty is not transferable. This limited warranty will be void in the event of, and does not cover: (1) normal wear and tear (including the results of fatigue), (2) defects, failures, or malfunctions that result from (a) abuse, misuse, alteration, modification, accident, neglect, downhill racing or stunt riding, (b) improper assembly, installation or maintenance, or (c) other abnormal, excessive or improper conditions or use. If there are other documents that were included with the Moots bicycle frame you purchased, there may be further restrictions on what this limited warranty covers. Please read those documents carefully. If Moots determines that the Moots bicycle frame you purchased is defective and the defect is covered by this limited warranty, Moots, in its sole discretion, will either repair it or replace it at Moots’ cost with the same or a comparable model. You must either (1) deliver the defective bicycle frame to an authorized Moots dealer, or (2) ship the defective bicycle frame to Moots at the address above Attention: Warranty Repair. In either case, you must provide your original, dated purchase receipt that has the bicycle frame’s serial number printed on it. You are responsible for shipping charges associated with the repair or replacement of the Moots bicycle frame. The only remedies you have against Moots for a defective bicycle frame are those described in this limited warranty (i.e., repair or replacement of the bicycle frame, at Moots’ option). ANY AND ALL OTHER CLAIMS YOU MIGHT OTHERWISE HAVE FOR DAMAGES, INCLUDING, BUT NOT LIMITED TO, INCIDENTAL OR CONSEQUENTIAL DAMAGES, ARE EXPRESSLY EXCLUDED UNDER THIS WARRANTY. THIS IS THE ONLY WARRANTY THAT MOOTS MAKES ON ITS BICYCLE FRAMES. ANY WARRANTIES THAT MAY BE OTHERWISE IMPLIED BY LAW, INCLUDING, BUT NOT LIMITED TO, ANY IMPLIED WARRANTY OF MERCHANTABILITY OR FITNESS FOR A PARTICULAR PURPOSE, ARE LIMITED TO THE DURATION OF THIS LIMITED WARRANTY. No Moots dealer, agent or employee may enlarge or modify this limited warranty, and Moots makes no other warranty except as stated in this limited warranty. As a consumer, you may have other legal rights, which may differ from state to state. Some states’ laws might not allow the exclusion or limitation of incidental or consequential damages, or limitations on how long implied warranties last. Depending on where you live or purchased the bicycle frame, some of the exclusions and limitations contained in this limited warranty might not apply to you. Bicycle riding, particularly mountain biking and/or riding in a group, is an inherently dangerous activity and the bicycle rider is assuming that risk. Proper care and maintenance of your Moots bicycle frame is your responsibility and can reduce the risk of injury. Moots designs and builds high end stock and customized frames and components to exacting specifications. Moots does not test components made by other manufacturers to determine compatibility or safety when used in combination with Moots frames. Moots frames and components may not be compatible with all third-party products or accessories. Customer assumes all risks associated with the use of third-party products with all Moots frames or components. Moots, its agents, employees and owners shall have no liability for any personal injury, disease, death, property damage or loss sustained or caused as a result of any Customer’s use of third-party products with Moots’ frames or components.